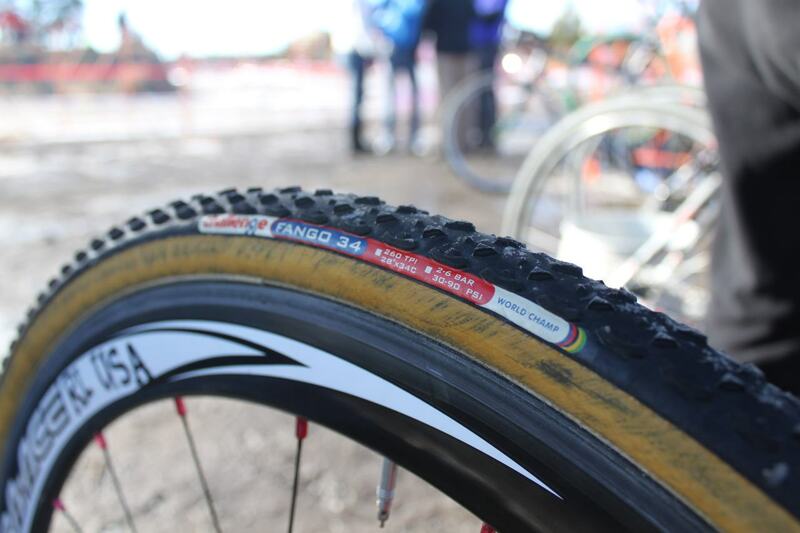 With the constantly changing course conditions at the 2009 Cyclocross National Championships, tire choice was at the top of everyone’s minds. With a completely snow-covered, icy course seen on Wednesday pre-rides (see our pre-race course preview video), traction was paramount, but by the next morning, the course was swept clean of a lot of snow and was significantly faster without the four inches of white stuff (see morning race video here). 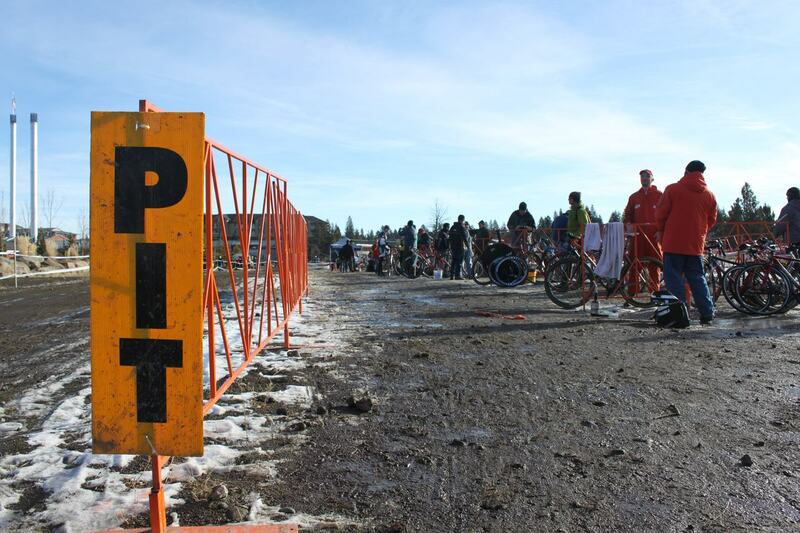 By Sunday, most of the course was snow-free (see women’s start video) but mud puddles formed and black ice still lingered in the shade. With the exception of a few off-camber corners and icy pavement, traction was ample. 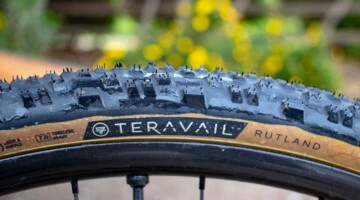 So what would the top riders chose for tires? 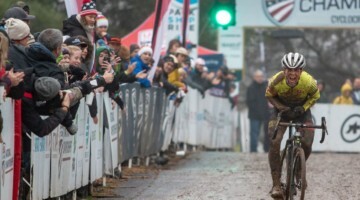 While tires are always a personal choice, with such varied course conditions, the variety in preferences was never more evident than at the 2009 National Championships. 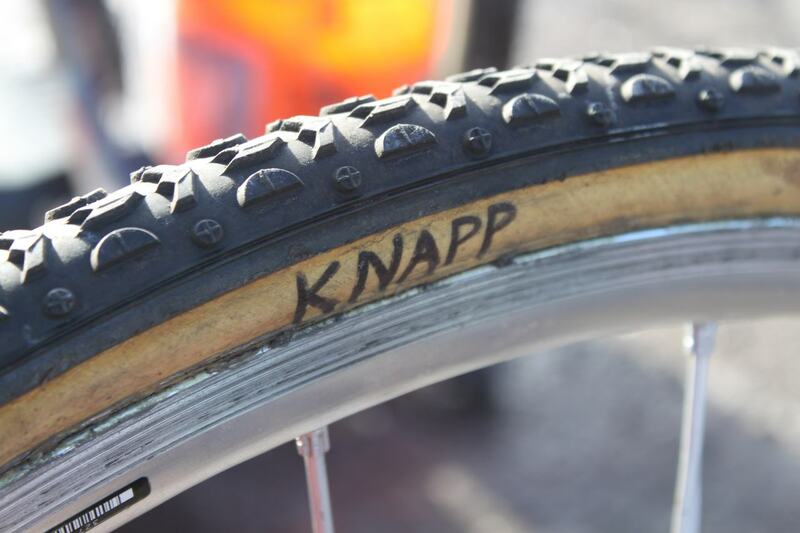 While many racers came to Bend with a limited set of tires and wheels, the top racers had a quiver of wheels and tires to outfit their A and B bikes with identical hoops and treads. 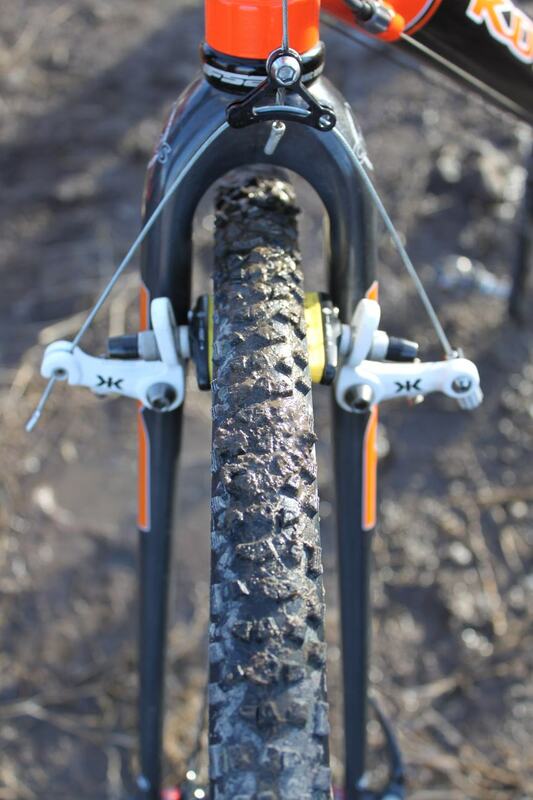 Tire choices were made before the race, and both bikes were outfitted with the same tires and wheels, with different tires ready on back up wheels should the rider regret his choice. 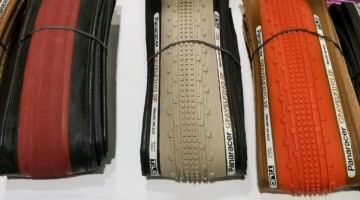 From 30mm Challenge Grifos and Ritchey Speedmax clinchers to 34mm Dugast Rhinos and FMB Grippos, almost every tire was seen on racers’ bikes. 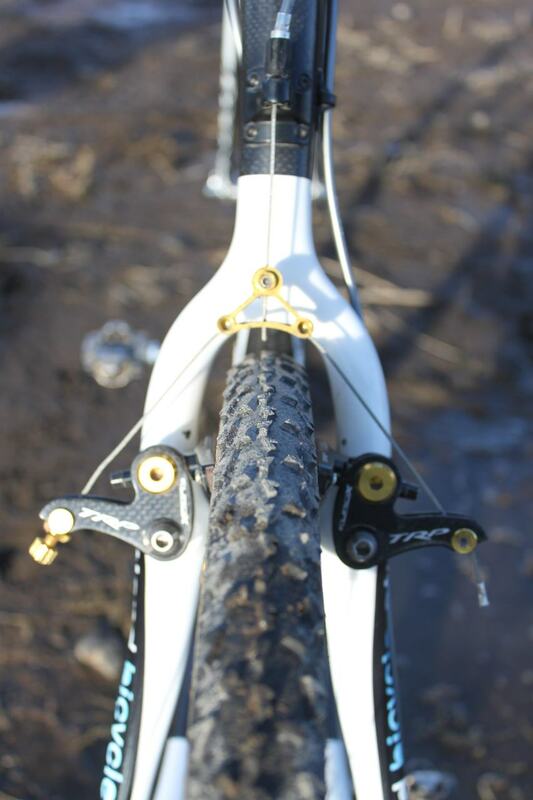 For example, Elite Women’s winner Katie Compton (Planet Bike) rode 34mm Dugast Rhinos, pint-sized former National Champ Anne Knapp (Kona/FSA) had 30mm Challenge Grifos, while equally petite Kristi Berg (Redline) was outfitted with 34mm Challenge Fango tubulars. 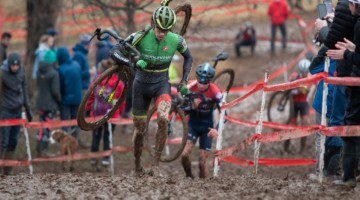 On the men’s side, the podium was earned with five different tires, with Tim Johnson (Cannondale – CyclocrossWorld) and his entire team sporting 34mm Dugast Typhoon in the rear, and a 32 mm Dugast Rhino in the front, at 26-27 psi, Ryan Trebon (Kona / FSA) choosing the grippy 34mm Dugast Rhinos at 30 psi, and Jonathan Page (Planet Bike) racing on 32mm Challenge Grifo Seta tubulars at 26-28 psi on his main bike but pitted and rode a lap on his B bike with Dugast Rhinos. 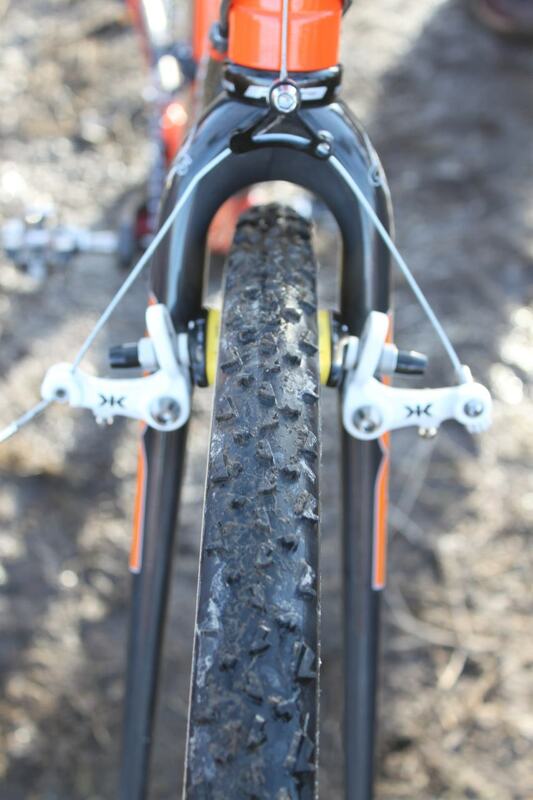 What did you use and when did you race? How did it work? Readers want to know. Drop a comment below. 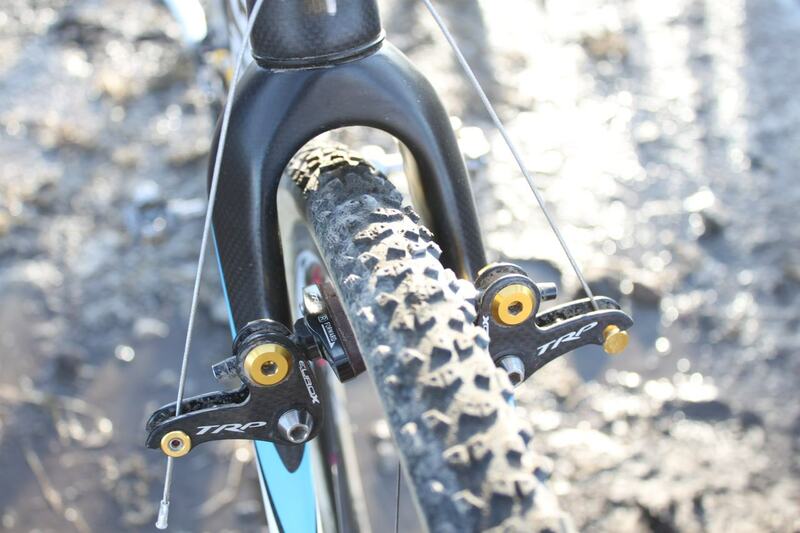 My son raced in both the U-23 and Elite mens classes and used 34 mm Rhino's. He ran about 25 psi front and 28 rear. He said they hooked like velcro. 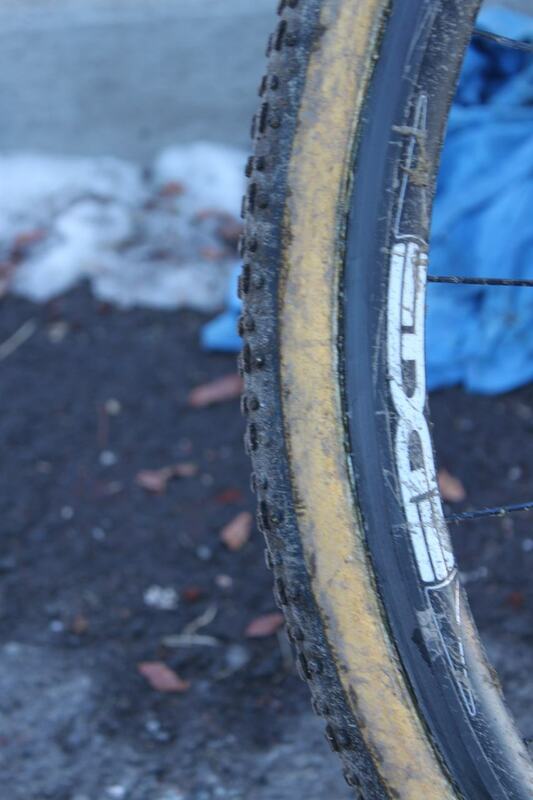 I raced in the Masters 50-54 class in somewhat iceier conditions and ran 32 mm Griffo tubulars at about 28 psi. Neither of us crashed and we both had allot of fun with the course. I got a great shot of Page loading his Grifos into a corner. 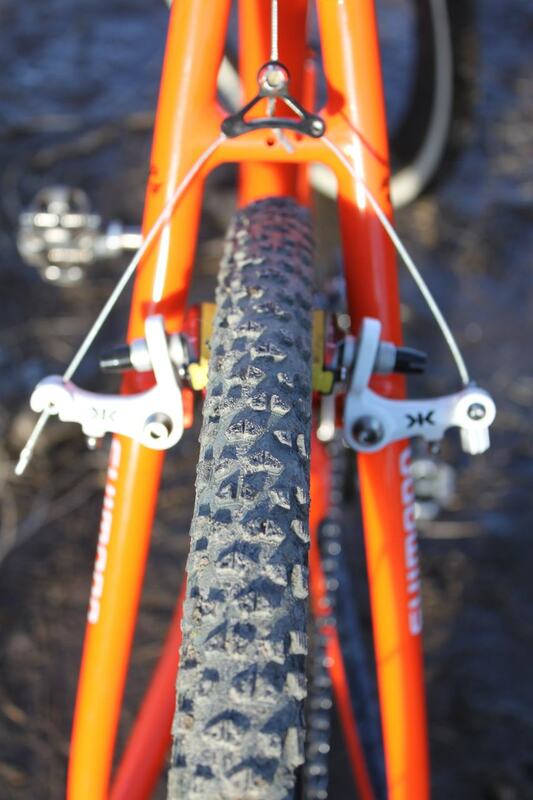 My A bike had a 34 Rhino up front and a 34 Grifo in the rear, both at 23 psi. 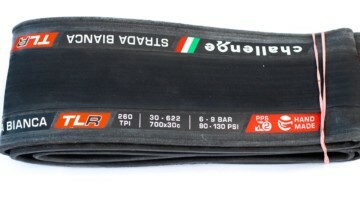 B bike had 34 Grifo's 23 psi. 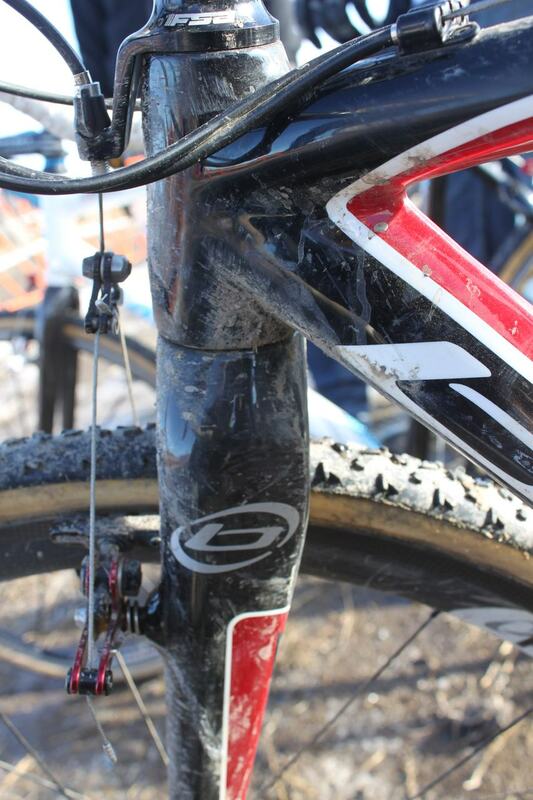 I used both bikes in the Elite race, both sets of tires worked great except on the icy pavement before the long uphill. Nothing hooks up on an ice skating rink.